American singer-songwriter Ariana Grande appeared on The Late Late Show with James Corden brfore Carpool Karaoke. 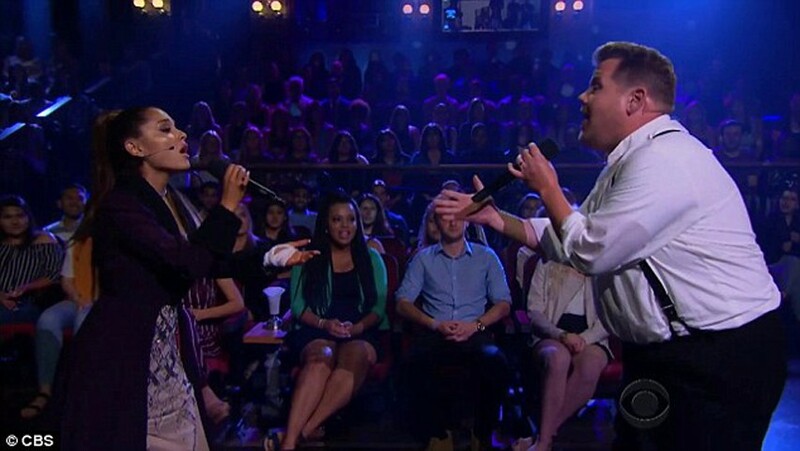 Ariana Grande and TV host James Corden have re-enacted the Titanic love story between Jack and Rose for TV program. The pair performed 13 songs as the love story of Jack and Rose. 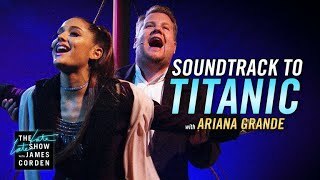 Introducing the segment, Corden said: "Tonight we've got 13 songs, nine sets, one take and zero pressure - this is Ariana Grande in a soundtrack to Titanic." Ariana Grande tweeted, "nothing makes me happier than your run on “come sail away w me~eee” love u"
James Corden re-tweeted, "Here it is, 1 take, @ArianaGrande and I in a story of Titanic. She is insanely talented, and I feel honored to have got to do this with Ariana." The film "Titanic" was released in 1997, directed by James Cameron, starring Leonardo DiCaprio and Kate Winslet. The film won 11 categories at the 70th Academy Awards in 1998.